P&O Cruises World Cruising has amended their policy on the carriage of mobility aids including wheelchairs and scooters effective as of the 2013 northern hemisphere summer onwards. All mobility aids must now be stored inside cabins when not in use so as to ensure the clear passage and safety of guests in walkways and public areas. “If a passenger requires the use of a mobility scooter they should select either a wheelchair accessible cabin, or suite or mini-suite accommodation when making their booking,” a P&O Cruise spokesperson said in a statement. Segways, trikes and various other non standard mobility aids are not permitted aboard P&O Cruises World Cruising ships. P&O Cruises will fit 18 single cabins on board its 116,017 gross ton Ventura that was introduced in 2008, following the success of such accommodation on board its sister ship Azura that is one year younger, said Carol Marlow, Managing Director of the company that is part of Carnival Corp & plc group. The additional cabins will be built midships on deck 6 and after this has been done, the company has three ships with single accommodation. The 69,153 gross ton Oriana was fitted with two inside single cabins in addition to two berth cabins as part of modifications last autumn. UK-based cruise line P&O Cruises has started construction of what is claimed to be the UK's largest cruise ship, which is expected to launch in summer 2014. Work related to the steel-cutting process has commenced for the 141,000-tonne new ship at the Monfalcone shipyard of Fincantieri near Trieste, Italy, marking the beginning of the project. P&O Cruises managing director Carol Marlow said: "The cutting of the steel marks the moment the ship goes into production so for us it is a very exciting time as we go from the drawing board to reality." Although the company plans to announce the detailed specifications and innovations of the ship at a later date, it said the vessel will be able to carry 3,611 passengers. In a move to build a ship that will appeal to both present and new passengers, P&O Cruises has hired British design company Richmond to design the vessel's interiors with a blend of classic and modern features. Marlow said Richmond's designs would cover the entire ship's interiors, including cabins, cafes, bars, restaurants and lounges. "Richmond's designs will add an elegant and timeless Britishness to appeal to everyone who steps on board and will facilitate an excellent evolution of the P&Oness our passengers know and love," Marlow added. The ship build process, including various other works such as keel-laying, is scheduled to be completed in May 2013 and delivered to P&O Cruises in spring 2015. The new ship, which the company describes as a "modern classic", is yet to be named. P&O Cruises owner Carnival has ordered a new 141,000 tonne cruise liner which it says will be the largest built specifically for the British market. The liner, costing 559m euros ($807m; £489m) and scheduled to enter service in March 2015, will be built by Italian shipbuilder Fincantieri. The as-yet unnamed ship will be able to carry a maximum of 4,372 passengers. Rival Royal Caribbean claims to have the world's biggest cruise ship, Allure of the Seas, weighing 225,282 tonnes. 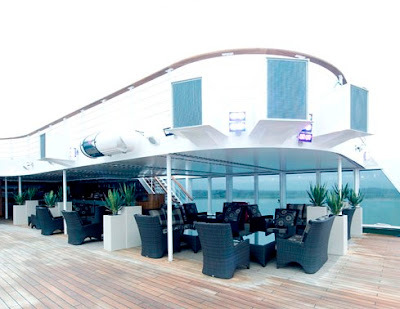 The 16-deck Allure can carry 5,400 guests and went into service late last year. Carnival said its new ship, which will sail out of Southampton, would "offer an innovative new design and unprecedented number of passenger facilities". The company's chief executive Micky Arison said: "The UK continues to be a key growth market for Carnival and innovative vessels such as this new P&O Cruises ship - targeted specifically to British clientele - underscore our commitment to this important cruise region". Miami-based Carnival operates almost 100 ships and currently has eight ships on order, including the new P&O liner. Fincantieri boss Giusseppe Bono said the deal demonstrated the company's efforts to secure orders in what is a "particularly depressed market". P&O Cruises branded slippers, bagged to take home. The future of the UK cruise industry looks bright after Southampton announced it is to splash out £30m on a new terminal to support the growing industry. The cruising hub will add a fifth terminal to the port, which planners claim will be able to accommodate even the largest ships sailing the high seas. 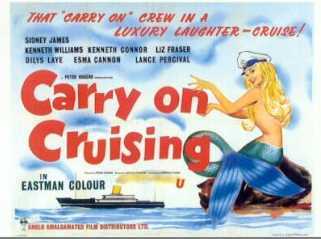 Cruising has become big business in the last 10 years with 300 ships stopping in the UK over the past year, a figure which is expected to grow by 20 per cent in 2011. 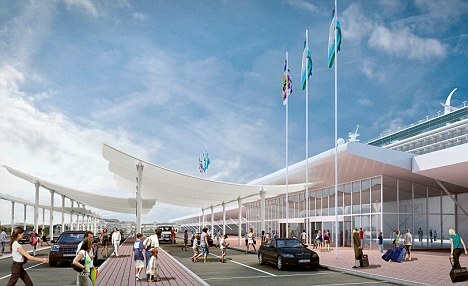 While the terminal, upon which construction will begin next year, will cost £30m, it is expected to boost the economy by about £150m a year once it is completed in 2013. A UK stopover is particularly popular on European cruises and many Britons enjoy boarding in the UK, avoiding the expense and hassle of international flights. Southampton's terminal five will be the largest turnaround facility in northern Europe, securing Britain's future as a leading cruise destination. The ability to accommodate the world's biggest ships, such as Royal Caribbean's Oasis of the Seas and Allure of the Seas, will bring new lines to Britain's shores and increase its market share. P&O Cruises’ 15 year old ship Oriana is to switch to offer cruises exclusively to adults only. The change will come after the 1,818-passenger vessel returns from a regular refit in a year’s time. From November 30, 2011, the British cruise market leader will operate child-free ships – Oriana, Arcadia and Adonia, which joins the fleet next May as a replacement for Artemis. P&O Cruises will then have four family-friendly vessels – Azura, Ventura, Oceana and Aurora. The company is contacting passengers explaining the changes to Oriana. Those booked with children on five cruises on sale which run after the change to Oriana will be offered alternative voyages or full refunds. “We are totally committed to satisfying the holiday needs of both families and those travelling without children,” the line said in a note to agents. A company spokeswoman said: “When Artemis leaves the fleet next May the number of holidays exclusively for adults available within the P&O Cruises programme will be effectively reduced as Adonia, her replacement, is a smaller ship. Joining us in May 2011, just after the farewell cruise of Artemis, Adonia will be considerably smaller than her sisters in the fleet. With an elegant and traditional interior including a delightful library, nautical Crow’s Nest and classic Anderson’s bar, Adonia will exude real small ship charm with a warm and intimate ambience. 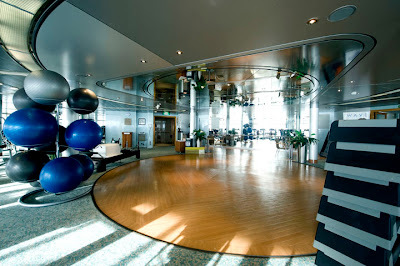 Yet being built as recently as 2001 she will offer all the modern facilities you would expect from P&O Cruises; a spa, cyb@study, a choice of dining and a high proportion of balcony staterooms. Being a smaller vessel - just 32,000 tonnes with 335 cabins and carrying 710 passengers - she will also be able to travel to some off the beaten track destinations that can’t be reached by the larger ships of today. Adonia’s exciting itineraries will be released over the next couple of months and her holidays will be available to book from spring 2010. Artemis sold P&O Cruises has announced it is selling Artemis to MS Artania Shipping. The ship will continue to sail for P&O through mid-April 2011. Although P&O has already signed the contracts, the sale of Artemis will actually be completed on 6 October 2009. 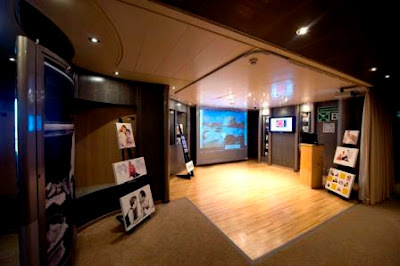 Artemis will sail its scheduled cruises for P&O through 12 April 2011. Its final voyage will be a 98-night Asian Grand Voyage, departing Southampton on 4 January 2011 and cruising to the Middle East, Asia and Africa, before returning to Southampton. The 45,000-ton, 1,200-capacity Artemis certainly isn't in keeping with the P&O Cruises model of big, contemporary ships. 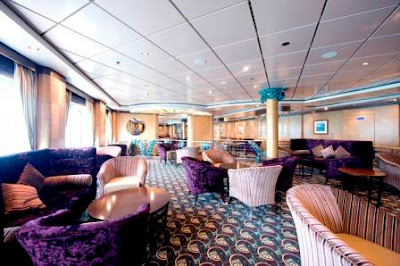 Built in 1984 and named by Diana, Princess of Wales, the vessel originally sailed as Royal Princess, transferring to the P&O Cruises fleet in 2005 to operate culturally-led cruises for an adults-only crowd, mainly of a certain age. Changes are to be made to P&O Cruises’ £300 million new ship Ventura after the line admitted to facing “challenges” in its introductory summer season. The 3,000-plus passenger family-focussed superliner – the biggest in the fleet - will see alternations to its dining while the company is to address complaints over a lack of sun loungers, particularly on sea days. Ventura has carried around 57,000 passengers this summer as well as hosting more than 4,000 travel agents. The company’s managing director Nigel Esdale revealed the changes in a letter to travel agents. He said: “In general newcomers have reacted very favourably to Ventura and we continue to see this as our primary focus. “That said, we have had some challenges in marrying the differing needs and expectations of a new audience with those who have travelled with us many times before. 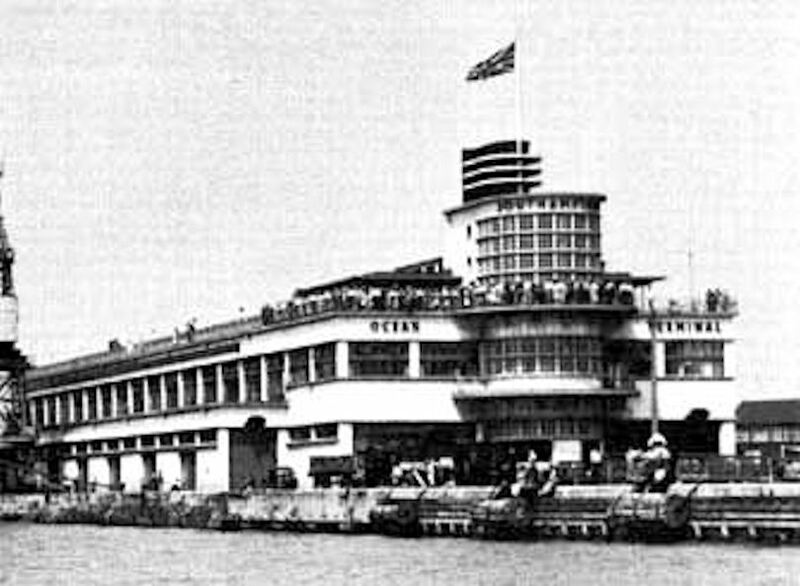 Esdale conceded that the ship had experienced “particularly heavy demand” for Freedom Dining at peak times, especially during the summer school holidays. “In order to realise this concept to the full, and thereby ensure that it does indeed offer customers the flexibility that they desire, we have increased the number of tables within the Cinnamon Restaurant and will be introducing specialist software to enable the team to effectively manage the utilisation of the range of restaurants around the ship,” he said. “More significantly though, passengers will no longer need to book a table in advance. Instead they can enjoy the ultimate freedom of arriving at the time they would like to dine and, where possible, they will be seated immediately. The entertainment scheduling is also being improved and phased to offer increased choice and flexibility at a range of times, thereby alleviating 'peak time' demand. The standard of presentation in the casual dining areas is being enhanced. The family-orientated Beach House will “evolve” to offer an additional informal dining venue with waiter service. On sunloungers, Esdale acknowledged that availability “has been an issue” during some of the summer school holiday cruises. 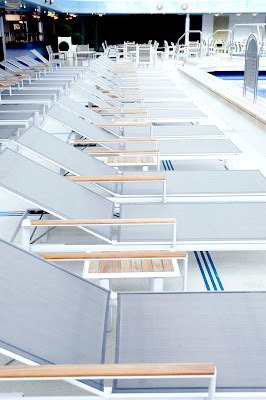 “In order to address this we have decided to devote some of the space originally allocated to Cirque Ventura on Deck 19 as an additional sunbathing area,” he said. “This will give those passengers who like to spend some time relaxing in the sun more space to do so. New furniture, including a reclining chair, will be introduced to cabin balconies in next spring. “This will have the added advantage of helping to alleviate the high demand for loungers on the open deck, which we experienced during the summer school holidays,” added Esdale. 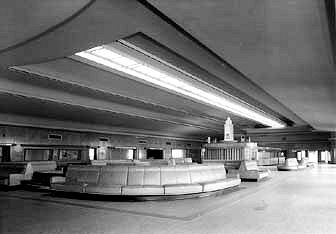 The ship will be using a new terminal at Southampton next year. Esdale added that “the sheer number of people boarding this vessel has inevitably meant a greater requirement for car parking. 25 YEARS ON, ‘OCEAN TERMINAL’ RETURNS TO SOUTHAMPTON Associated British Ports’ (ABP) Port of Southampton has unveiled the official name for its new multi-million pound fourth cruise terminal - Ocean Terminal. 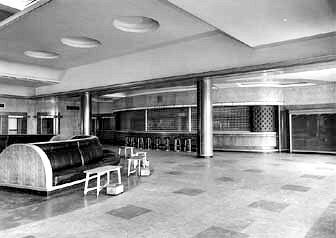 The new terminal has been named after its predecessor on Ocean Dock, which was once home to many of the great transatlantic liners of the world, including Queen Elizabeth and Queen Mary. Building work has already started on the £19-million terminal, which is being constructed following a 20-year agreement with Carnival UK, which operates Cunard, Ocean Village, P&O Cruises and Princess Cruises. The new terminal is being built opposite the old Ocean Terminal and will be home to some of the largest cruise vessels afloat when it opens next year. The 300m-long tube-shaped building will contain 6,000 tonnes of steel, equal to the weight of 100 elephants, and the baggage hall alone is the size of 14 tennis courts. The building will be able to hold the equivalent of 437 double-decker buses stacked on top of each other. 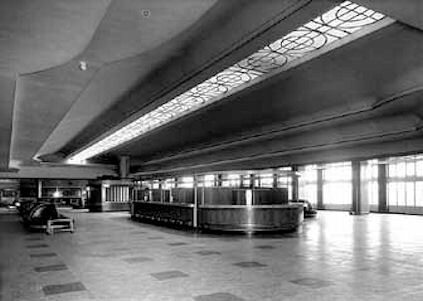 The terminal is due to be opened in May 2009, with P&O’s Ventura being the first to sail from it. As a postscript to yesterday's confirmation of the structural changes to Grand Princess, here's a before and after look at that controversial "shopping trolley handle" at the stern. Or rather after and before, so you can see the new version first. Passengers sailing from the UK will be among the first to enjoy the new facilities on board. 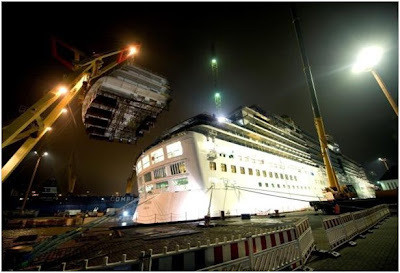 Princess Cruises say one reason for demolishing the structure is to reduce the ship's weight, and thereby save fuel, so there's no truth in any rumours that it was designed like the wing on a Formula One racing car to improve cornering speeds. 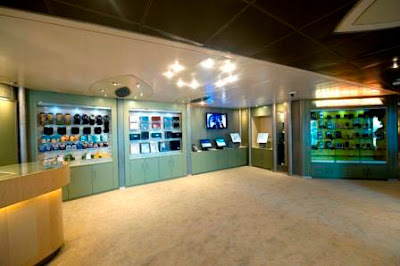 Later ships with variants on the design used lighter materials in the construction, and Princess say there are, as yet, no plans to remove the "handle" from Caribbean Princess, Golden Princess or Star Princess. Other work to be carried out during the 24-day drydock in Freeport, Bahamas, will incorporate features which have been introduced on newer ships in the Princess fleet since Grand's launch in 1998. The atrium space will be completely rebuilt into a new Piazza with an International Cafe and Vines winebar. The library will be transformed into a Leaves Tea Lounge, which will have a "tea sommelier" alongside the books. New restaurants will be created - a Crown Grill steakhouse, and Alfredo's Pizzeria, and the ship will get a Crooner's martini bar. All this and the new nightclub, too. I wonder if Princess could be persuaded to name it "Steve's Bar," rather than the prosaic One5 . The remodelled ship will arrive in Fort Lauderdale, Florida on May 5, and then head straight for Southampton, where it will be based for the summer. 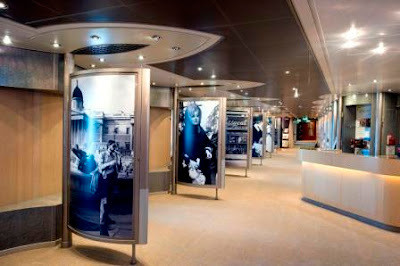 Great news - P&O Cruises Arcadia is to have new cabins and boutique cinema as part of a multi-million pound refurb. She will get new carpets, new soft furnishings and upholstery and also 34 new cabins with private balconies. 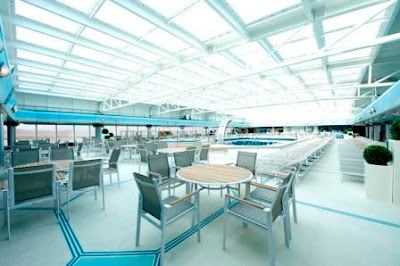 P&O Cruises' managing director Nigel Esdale said: “This is Arcadia’s first major refurbishment since she joined the fleet in April 2005 and we are taking the opportunity to enhance and improve the features of this already very successful child free ship. “The work that we are undertaking will add to Arcadia’s contemporary charm. P&O Cruises have confirmed that the first passengers to experience the new look Arcadia will be departing on the 16-night Mediterranean cruise from Southampton on December 20. Arcadia's Multi Million Pound Refit. I am doing my best to keep up with requests for information and photos etc. Angus Staff Chief Engineer is now a proud Father of a baby girl so our Congratulations to Angus and Jackie on the birth of Megan. Many of you have requested photos and information on the recent three weeks of refurbishment in the Lloydwerft shipyard in Bremerhaven, Germany. 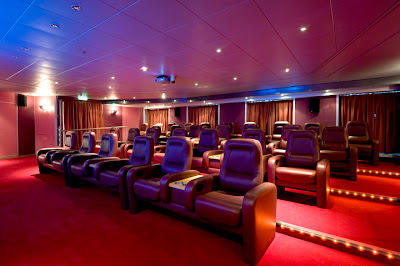 During the multi-million pound refit a new aft section of 34 staterooms was added, along with a 30-seat boutique cinema, called The Screening Room. Please bear in mind that these photographs were taken in December so the skies are rather overcast. This was Arcadia’s first major refurbishment since she joined the fleet in April 2005 and we are delighted with her new look and enhanced features. Arcadia is a very successful child free ship and the work we have done has added to her contemporary charm and will continue to surprise and delight our passengers. 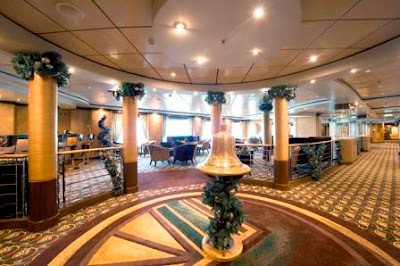 A new section of staterooms with private balconies has been added to the aft end of the ship. This has resulted in the creation of an enlarged deck area and enhanced entertainment venue around the already popular Aquarius Pool. To further enhance this area, a larger and more stylish, new bar has been created, much to the delight of our Bar Staff! They have much more space for their stock and it is now a pleasure to work behind this bar. 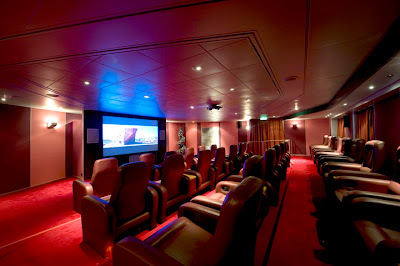 A further new feature for passengers is a 30-seat boutique cinema, creating a dedicated space for showing films on board. The cinema, known as The Screening Room has been added in place of the existing Cyb@Study - computer workstations will now be available within the Horizon Suite and Library and wireless internet access will continue to be offered on board. 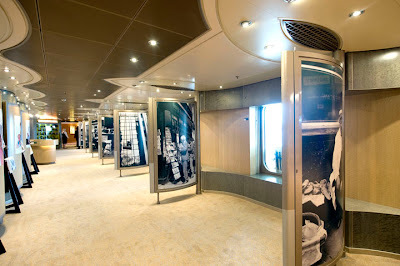 The photo gallery has been revamped with more space and privacy given for portrait sittings and the addition of equipment for passengers to download images from their own cameras to be printed directly on board. New portrait area – there is a demand for more unusual high quality photography. Further refurbishment has taken place throughout the ship, with new carpets, soft furnishings and upholstery added in areas including the Spinnaker Bar, Neptune Pool and passenger cabins. Spinnaker bar – the Christmas Decorations have gone now! Neptune pool - with the new beds that you all asked for. Also the swimming pools have been completely refurbished. New teak furniture enhances open deck space and a sprung wooden floor in the gym will improve delivery of exercise classes. This will keep you all going in the meantime - I am off now to host at the Portunus Gold Tier Lunch! All arrangements in place for our Egypt calls and the travelling Egyptian Immigration Officer has been so helpful to us therefore the Ship will be more or less 'clear' for passengers and crew to go ashore on arrival Port Said - see the trouble we go to to ensure a smooth journey.